I'm pretty sure this is Mook Jasper; the rough was very small. 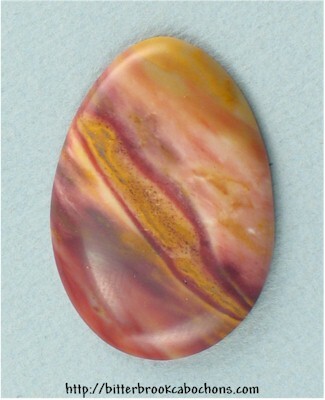 The cabochon has a space cloudy look, kind of like the surface of Jupiter. 36mm x 25.5mm x 4.5mm. Weight: 32.20 carats.